This live record was released after the band had split up, and recorded before their last album Ghost Stories was recorded. It features the final lineup of the Dream Syndicate: Steve Wynn, Paul B. Cutler, Mark Walton and Dennis Duck. 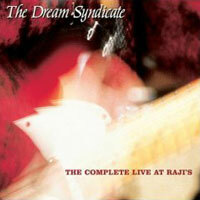 Reissued on April 26, 2004 containing the complete Raji's show (that is the 4 missing songs).